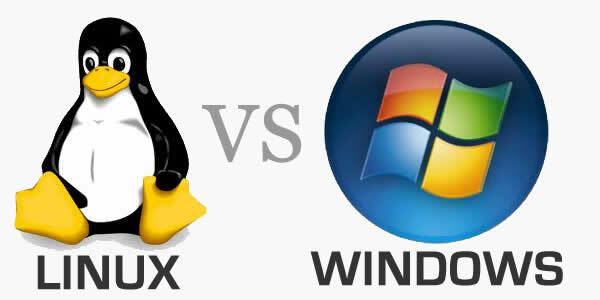 Most web hosting companies use one of two operating systems: Windows or Linux. If you are looking to purchase a web hosting service, it is crucial consider certain factors before you are able to make a decision. Windows and Linux offer very different services. In this article, we’ll go through the advantages and disadvantages of both these systems. Microsoft SQL Server Hosting: This is the feature of Windows Web Hosting that makes it possible for big businesses to sustain their websites. It has a very high level of reliability, thus making it perfectly capable of handling the backend of your website. SQL is exclusive to Windows and aims to ensure that you will be able to make the most of the operating system’s features. This guarantees stability thus ensuring that your SQL server databases are accessible 24x7. ASP.NET Support: ASP.NET is the framework that Windows developers use to develop their websites in. The advantage of using this framework on the Windows platform is that you can create web applications that function almost in tangent with the Windows OS. This enables you to add extended functionality to your windows web applications. Microsoft Access hosting: This is similar to the SQL server mentioned above with the exception of being a purely desktop database. MS Access is also used with ASP.NET websites on the Windows platform. Since it is a desktop application and not an SQL server, MS Accesscan only be used to implement small changes. It is suitable for temporary implementations. MS Access databases are cost effective and easy to implement. But due to limited scalability, you might have to eventually shift your data to an SQL server database. Although Windows web hosting allows you all these features, you can only make the most of them if you have sufficient experience with Windows web development. In should also be mentioned that apart from offering Microsoft SQL server hosting, Windows can also run MySQL, the SQL component found in Linux. But all the same, it is rare to find MySQL on Windows. With Windows, you might also be likely to face certain security troubles. However, this is something you might experience even on Linux. Another difference between Windows and Linux is case sensitivity. Unlike Linux, windows servers do not pay too much attention to upper and lower cases. You might have noticed that even if you entered an incorrect casing for a website on a web browser, the browser would still take you to the site you want. Low Cost Web Hosting: This factor makes Linux web hosting popular among small businesses when compared to Windows. The reason for Linux being low cost is that it is an open source operating system, meaning you do not need license to use Linux. You do, however, need a licence to use a Windows operating system, thus making it significantly more expensive. In addition to this, Linux has a full-fledged server and even desktop applications such as FTP, Web Server, and DNS Server, which come free with the operating system. Stability: Linux has had a strong reputation for being one of the most stable operating systems in the market. If you host your website on Linux, it can have an extremely high up-time. But then again, factors such as network admin skills, power supply, and network load also affect the up-time of your website. cPanel Hosting: In the previous section, we’ve mentioned how Windows operating systems use Plesk, wherease Linux operating systems use c-Panel Hosting. CPanel is easily one of the best web hosting control panels in the market. In fact, some people choose to host their websites on Linux simply because of this feature, because cPanel is exclusive to Linux operating systems. Many are of the opinion that the features provided by cPanel are far more effective than those provided by the control panels offered for Windows web hosting. Ease of use: Linux is quite easy to use. It even allows you to use Windows based tools such as Front Page, provided those extensions are enabled. Linus web servers allow you to use almost all types of web extensions. Some of the common extensions used on Linux are .html,.cgi, .pl, .php, .htm,.shtml, and .xml to name a few. In addition to this, websites designed to be hosted on a Linux based web server can also be easily hosted on a Windows web server. But the reverse is not always true. We’ve talked about case sensitivity in the previous section. To reiterate, file and directory names are case sensitive on Linux. For example, if you name a page Home.html and another page home.html, they will actually be two completely separate pages. People visiting your website will have to be careful about this. This does not hold true for Windows web hosting.